Did you see that? It seems like we blinked and June just flew by. Seriously, it feels like it was just yesterday that we were compiling the May Mailbag and heralding the arrival of June, and now it is on its way out the door. Oh, and did we somehow miss the official arrival of summer in the Northern Hemisphere? For you Casual Runners in the Southern Hemisphere (and we know there are a lot of you, which excites us greatly! ), your summer is right around the corner. We guess that means June was an enjoyable month, and it was certainly a busy one for Team Casual Runner as we ran several new races, tried out some new running products, and even managed to share a story or two along the way. But don’t worry, we have some great features coming your way in July…another installment of Jake’s CosRunning series, more race reviews and product reviews, more trivia, and there is a little matter of Casual Runner’s 1 year anniversary! So please stay tuned as July promises to be our best month yet! But, before we turn the page on the calendar, as you know, we love hearing from our readers and want to finish off this great month of fun feature articles by once again opening up the Casual Runner Mailbag and turning things over to you, our great readers and fellow Casual Runners. Mike reviewed the old running staple, Body Glide, which we already know is good for running, triathlons, and other athletic activities. 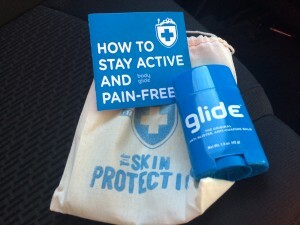 But we were surprised to hear from several readers who wrote in and suggested non-running uses for Body Glide. The one that we found particularly interesting (and that came up several times, but no one on the Team had thought about it before), was for walking around theme parks and amusement parks. This one makes perfect sense, especially when it is hot and people are planning on going on water rides. 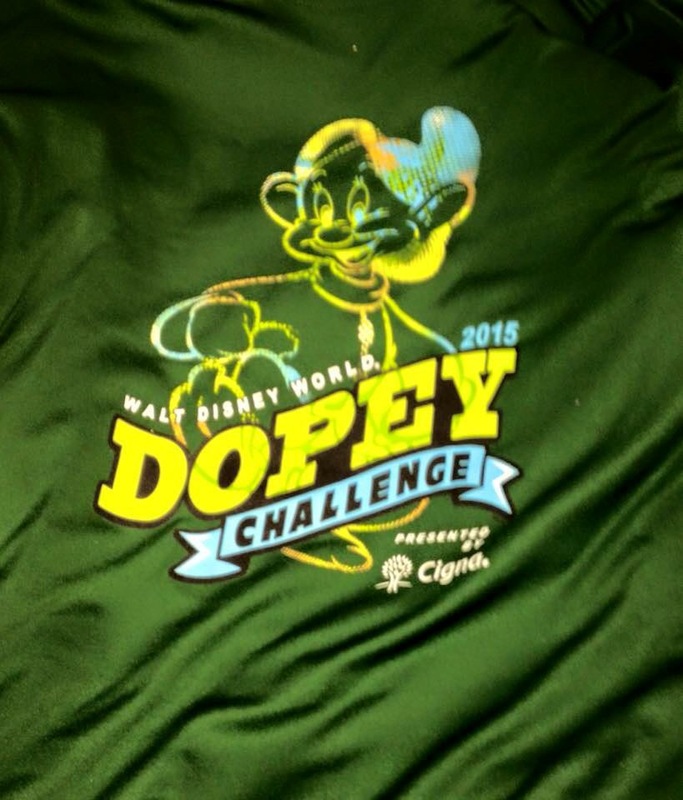 This could definitely come in handy on our next runDisney runcation! So, next time you are planning a trip to Walt Disney World, Disneyland, Cedar Point, or wherever your travels may take you, whether you are running or not, make sure you throw a stick of Body Glide in your suitcase! 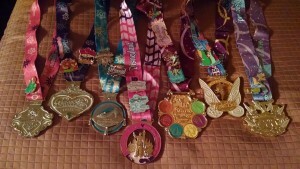 Thanks Miranda, we hope to meet you at a future runDisney race! We could not agree with you more in terms of the lack of character stops. If you remember, Mike said the same thing about the 2014 Disneyland 10k as well. This is a disappointing trend in Disneyland 10ks as the character stop opportunities are one of those aspects that really sets runDisney races apart from the rest. 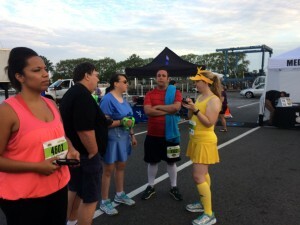 As for the snacks, while it was disappointing to 10k participants, hats off to runDisney for not distributing expired food and for their quick response in making sure there was plenty of post-race food for the participants of the Tinkerbell Half Marathon the next day. Thank you for being a fan, we appreciate your support. 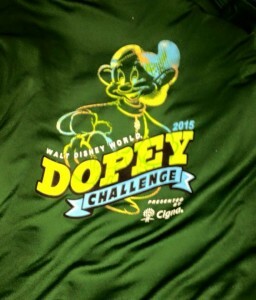 And best wishes to you and your fiancé during the 2016 Dopey Challenge!. Mike is Going Goofy in 2016, so hopefully you will be able to meet him and other Casual Runners while you are there, you know, between your 48.6 miles of running that weekend! 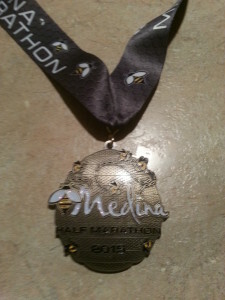 We thought that we as a Team were just biased because of our love of the roller coasters at Cedar Point, but our readers responded in a big way to Mike’s review of the Run and Ride Race Series Half Marathon at Cedar Point. Thanks Juli for letting us know it was you and your friends that were rocking the great themed costumes. We hope you had a great time at the race. Seeing as the race is only its in second year, it will be interesting to see what tweaks and additions organizers make going forward. Nadine, it sounds like you had a great time visiting the Roller Coaster Capital of the World and logging 13.1 miles in the process! Congratulations, and please, write back to us and let us know how the Dorney Park event is – Good luck! Thanks stacyleigh9. We are glad we could introduce you to a new race to experience. Along with everything else Steve had to say about this event, we think the cool honey bee-themed SMO is a pretty appealing draw of this race! If you do end up running this race next year, please make sure to let us know what you think! And really, that goes for any races any Casual Runners run. Our Team cannot be everywhere, so if you run a race or other fun event, please let us know as we would love to hear your thoughts and opinions. Well that is going to do it for this installment of the Casual Runner Mailbag. The Team loves hearing from you, so please keep those emails, messages, tweets, and Facebook and Google+ messages coming in. And don’t forget that we share additional content with our Twitter followers, additional pictures on Instagram, and continue to grow our picture galleries on Facebook. Don’t forget we have an exciting and jam-packed July planned for you here at Casual Runner, so be sure to follow all that will be happening. In the meantime, keep getting out there, enjoying logging those miles, and pursuing your Casual Running goals!